Here are a few things you should know about maintaining your fire sprinkler systems and keeping them up to code. 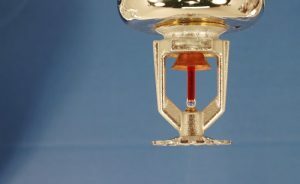 When it comes to fire sprinkler systems, the NFPA 13 is the industry standard. While newer additions are seldom retroactive, there still may be specific changes that are. In fact, being compliant with your fire sprinkler system is not just important for the obvious fire safety reasons, but also because it’s the law. Here are a few things you should know about maintaining your fire sprinkler systems and keeping them up to code. Since fire sprinkler design is incredibly technical, it can be hard to fully understand what you need to do to ensure that your fire sprinkler system is compliant and updated so that it meets all the new code regulations. For instance, an automated sprinkler is defined as “a fire suppression or control device that operates automatically when its heat-activated element is heated to its thermal rating or above” according to the NFPA 13 rules. In general, all requirements in the NFPA 13 are made to be used on both commercial and residential fire sprinkler systems. This means that the general requirements for fire sprinkler systems are applied universally. In fact, full coverage by having properly installed and maintained fire sprinklers in any building is usually a must, unless otherwise specified. At its core, the NFPA 13 is ultimately a description of all the various components used in an automated fire sprinkler system. However, it also establishes the proper maintenance requirements. Depending on material and type, the NFPA 13 clearly distinguishes what is needed to keep your fire sprinkler system up to code. While demanding in nature, the NFPA 13 clearly outlines all the specifics necessary to keep your fire sprinkler system in proper working order as well as maintain the safety of all the occupants within the building itself. This entry was posted on Friday, March 16th, 2018 at 10:38 am. Both comments and pings are currently closed.